I’m sorry if I’m going to repeat myself here, but today’s choice is another from the Oddbin’s wine tasting held at Liverpool’s Metropolitan Cathedral the other day. Why is this wine here? Because I went “oooo,oooo,oooo, look, oooo, it’s a white wine with carménère, ooo , look, Cambo, look”. My mate Cambo just ignored my giddiness. He activates his Jane Has Wine In Her Hand Force Shield when we’re at tastings; ever since I shouted, very loudly, “ooooooo, SAUSAGES” at the London Wine Fair a couple of years ago. I think he’s still taking the tablets – but I swear blind I could smell raw sausage meat from my tasting glass as I stood by the Bordeaux stand. I can’t remember what the wine was. I’ve had a drink since then. So, when I go “oooo, oooo” in my giddy lowbrow kind of way, Cambo usually looks at me in his highbrow kind of way and goes “oh, Jane”. But this time he was genuinely interested. A white wine made with carménère? It was a new one on us. What is it: It’s a white wine. An unusual white wine. Where’s it from: Chile, the Maule Valley to be more precise. 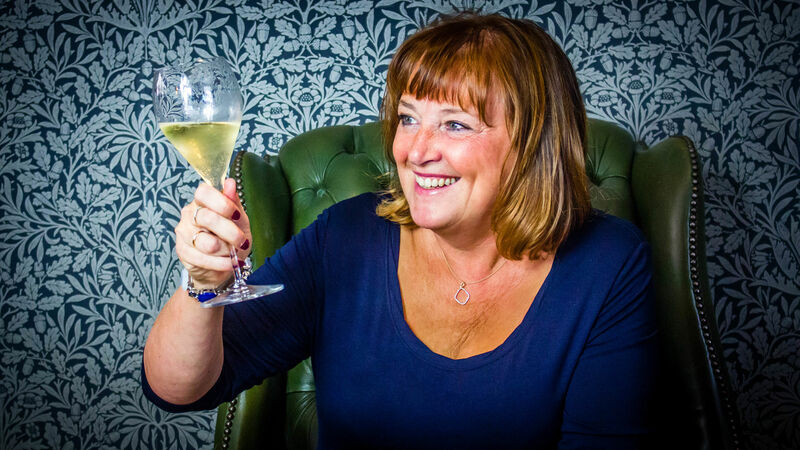 Find out more about the region here courtesy of Winerist. I’ll tell you some more: The carménère bit is why I was excited. Much like Argentina has made the Old World grape malbec its own; so the same has happened with Chile and carménère. “This is a grape which up to a few years ago was thought to have disappeared. In the 1870s a phylloxera plague of small aphids destroyed most of Europe’s vines. The grape creates some amazing red wines but I’ve never seen it in a white blend until now. What, I hear you say? But it’s a black grape so how can it create a white wine? Well, if you squeeze the majority of black grapes the juices run clear. Red wine is created by the grape juice maintaining contact with the dark skins. The grapes: Carménère and sauvignon blanc. I’ve said what I need to say, other than the Oddbins’ techie details explain the wine is a split of 84% sauvignon blanc and 16% carménère. What of the taste? Well, as you know, I went “oooo” and that’s what I wrote down. I’ve spent loadsamoney on wine exams and I write the word “oooo”. Although I also scribbled “a new one on me” “a bit grapefruity” and “oregano”. I’m relieved to read Oddbins’ description as “spices and herbs over a strongly grapefruit-y backdrop”. The small print. 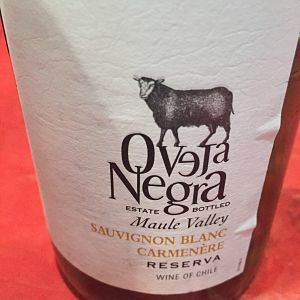 Oveja Negra Sauvignon Blanc Carménère is 12.5% abv and is screwcap. You can buy in Oddbins shops, or online here, for £8.75. You’ll need to add a delivery cost depending on the size of your order. That’s funny! I read the top line and thought ‘Ooo, a white wine with Carmenere – is that right?’ … and then read the rest of your piece! Exactly Barrie – that’s why I was giddy!